Sams Boat Gulf Coast Kitchen + Sports Bar, a brand synonymous with a great time, outstanding food and stellar sports entertainment, is offering franchise opportunities in Houston, TX, to join in on the fun and excitement; where you can gain the satisfaction of being a franchise for one of the most successful restaurant and bars in Texas. Our unique blend of a Gulf Coast Kitchen + Sports Bar themed décor, “crave-able” menu items and music and sports entertainment have allowed us to obtain a cult-like following. Over the years, we have built a reputation that drives our guests to visit us throughout the day and into late evening hours. From our great lunch menu to happy hour, listening to music, meeting friends for dinner or even catching a sporting event, we truly have it all! 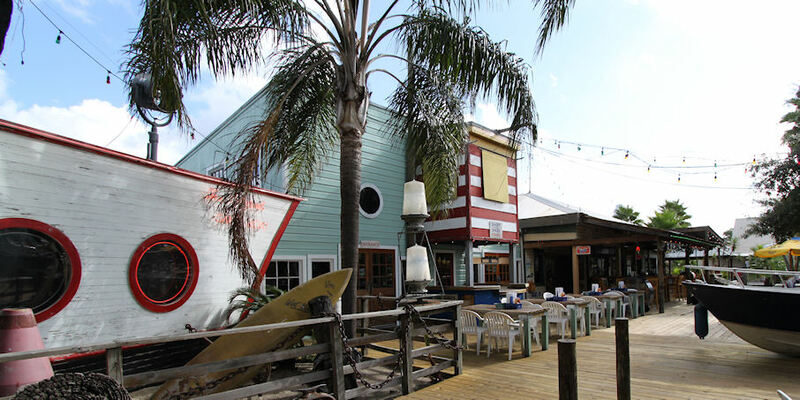 The original Sams Boat Restaurant was built from a wrecked shrimp boat found stranded on an oyster reef in Galveston Bay in 1980. From humble beginnings, our restaurant brand has truly made a mark on our patrons and continues to grow even stronger. As such, we are excited to offer franchise opportunities throughout the southeastern United States to own and operate your franchise. If you would like to share our passion as we continue to grow our Sams Boat Gulf Coast Kitchen + Sports Bar brand, now is an excellent time to join us. Our mission is to share our incredible story, continue our long history of success demonstrated by our outstanding team, identifiable points of difference, solid unit level economics, and a reputation as being an overall great place to work. If you are interested in discussing franchise opportunities in markets for which you have experience, please take this opportunity and contact us as we would love to hear from you. Complete our “Getting Started” form.